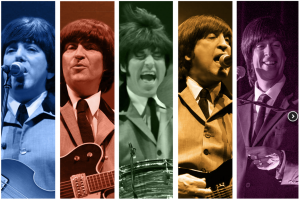 This mind blowing performance takes you back in time with the legendary award winning Fab 5 delivering a note-for-note theatrical event that is the next best thing to seeing the Beatles in concert. You will not receive an actual ticket, but a receipt for your order. WSV will have a list of all pre-purchased tickets on day of concert. We do not allow outside food,drinks,alcohol,coolers or pets. We are sold out of reserved seating. General admission tickets will be available until 12:00 pm Oct. 5th. After that time tickets may be purchased at the gate for $30/person. In the event of rain for any of our outdoor concerts we will move it indoors. The indoor concert seating will be more like a listening venue with a small dance floor and long tables of seating. We will keep group reservations at the same table, but other groups may be seated on either side of you at the same table. If we anticipate a rainout, thru local weather forecasts, we will limit our reserved seating to 200 guests. In this case, all general admission ticket holders will receive refunds. However, with the ever changing weather in the Houston Area, we might be forced inside at the last minute. If that is the case we will 1) Accommodate the reserved ticket holders in the order that the reservations were made online, 2) if there are any available seats after the reserved seating is accommodated, some general admissions might be available to be seated on the patio or in the tasting center. This will be decided on an event by event basis, depending on the number of reserved seats that are sold by the cutoff time on the Friday before the concert. As always if you are not satisfied with your seating you will receive a full refund at the start of the event only. Once the main event starts, no refunds will be given if you have an assigned seat.